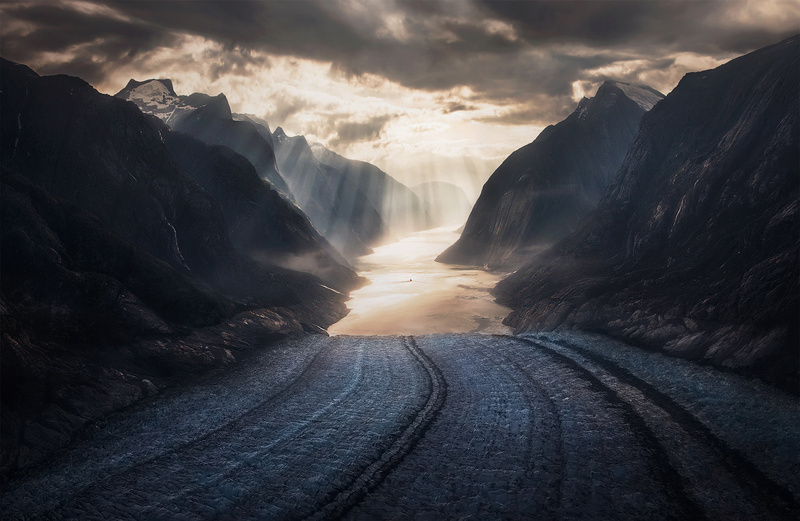 This glacier has receded 8 miles in 50 years. Warmth beams through as a tiny vessel sails through the fiord into the sun. Photo © copyright by Marc Adamus.